I don’t know if it gets any better than summer in the Inland Northwest. The nights are cool, while the days are long and hot. There’s an explosion of activities — swimming to softball — fueled by fresh seasonal produce and barbecues with friends. It’s a time to reconnect with family. No more arguments with the kids over homework left undone! But, it’s also a time when people overdo the exercise, forget the sunscreen, and test fate in fast-moving rivers and deep lakes. If I never had to cover another story about heat stroke, skin cancer or drowning, I’d be happy. Please take care as you venture out into the great outdoors. Make this summer a safe one. Now, on to one of my favorite topics — food! This summer we’ll be working on an upcoming Health Link special that showcases the “slow food” movement. Basically, that means eating foods that are locally grown. We’ll look at what “organic” really means and where you can find organic foods. We’ll also show you local restaurants that are working hard to use locally grown products. And speaking of restaurants — don’t forget to check out my new blog on area restaurants. I know it’s tough duty, but someone has to do it. 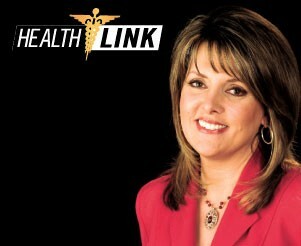 While you’re on KREM.com go to our Health Link page. We, along with our partner Sacred Heart Medical Center, work hard to put the latest health news online so you can make the best decisions for your family. And speaking of family — get out and enjoy yours. You can always take InHealthNW with you to read poolside.